Turkish President Recep Tayyip Erdoğan is ready to “play ball” on reaching a deal to reunify divided Cyprus because it would help resolve overarching regional issues including mending Turkey’s relations with the European Union, a United Nations envoy said Dec. 8. 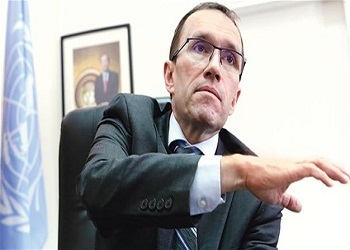 But U.N. secretary-general’s special envoy on Cyprus Espen Barth Eide indicated that it was unclear where Erdoğan wants to steer a summit in Geneva next month that aims to hammer out a comprehensive peace accord. Greece, Turkey and Cyprus’ former colonial ruler the United Kingdom will participate at a five-party summit from Jan. 9, 2017 to Jan. 12, 2017 to overcome the major hurdle of providing security in a federation made up of the Greek- and Turkish-speaking zones. “I think Erdoğan is ready to play ball and that’s what they communicate,” Eide told the Associated Press in an interview. 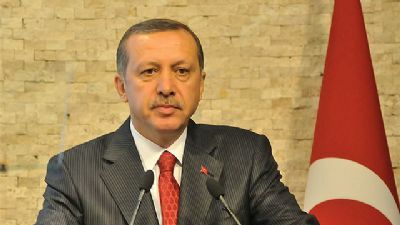 But it is less clear what Turkey’s negotiating position will be, he said. Greece insists military intervention rights that Cyprus’ 1960 constitution accorded to the guarantor nations must be scrapped under any peace deal. Turkey wants to keep a troop presence in a post-settlement Cyprus; Turkish Cypriots see that as essential to their security but Greek Cypriots view it as a threat. Britain says it will abide by what the two sides on the island decide. 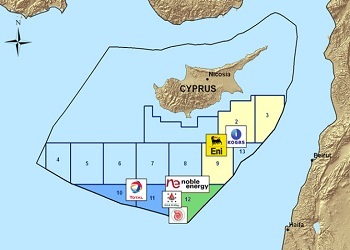 The U.N. envoy said a Cyprus peace deal would go a long way in boosting cooperation on exploiting the East Mediterranean’s substantial undersea gas deposits. It would also help restore frayed EU-Turkey relations, particularly regarding an agreement preventing refugees reaching Europe. A reunified Cyprus would also have a “symbolic effect” on a strife-torn region while an expected economic boom on the island would “inspire” neighboring countries, said Eide. But the U.N. envoy warned that failure this time may result in a change of the “status quo” on the island. He did not elaborate on what the change could entail. He added Greek Cypriot President Nicos Anastasiades and Turkish Cypriot leader Mustafa Akıncı feel they could work out a deal they can both “live with” on how much territory will make up the two federal zones – something that caused talks to briefly deadlock last month. Eide said next month’s Geneva summit will “almost certainly” run longer than the scheduled four days. The U.N. envoy said if all goes well, the two leaders aim to put a finalized deal to a simultaneous vote on both sides somewhere around the middle of next year, after a few months of sorting out the details of how a deal will be implemented and explained to the public. This entry was posted in News and tagged Cyprus, Cyprus dispute, Cyprus negotiations, Espen Barth Eide, Greek Cypriot, North Cyprus, Recep Tayyip Erdogan, SOUTH CYPRUS, TRNC, Turkey, Turkish Cypriot. Bookmark the permalink.